Today we’re stopping in to visit our little pal Shrunken Ned! As of this post, Ned is currently out of the spotlight while his home, South Seas Traders, gets a little bit of renovation to turn it into the new home of Tropical Imports. Word on the street is that, because of pneumatic tubes running up through the floor to his machine, Ned can’t be moved from his spot, so it looks like the old chap is gonna live in a snack shop now. Let’s see if hungry people are any more interested in having their palms read than t-shirt shoppers are! 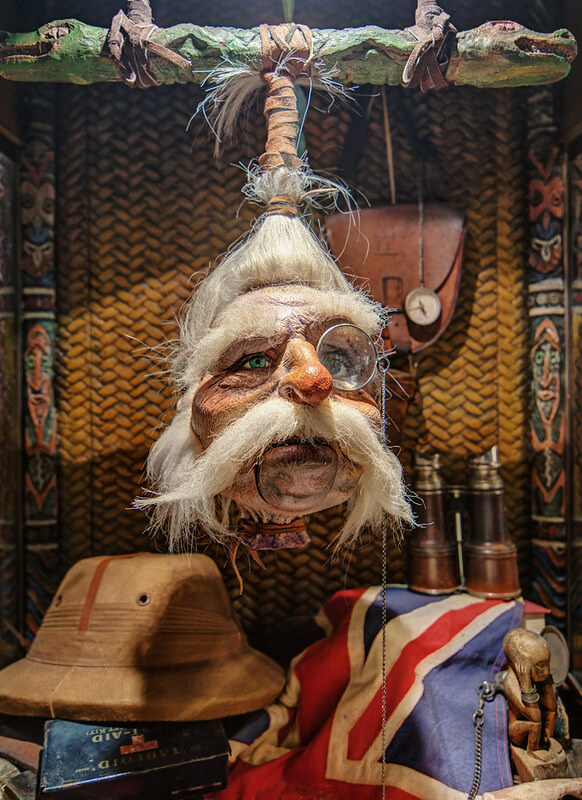 This entry was posted in Adventureland and tagged animatronic, Bazaar, HDR, Ned, shrunken head. Bookmark the permalink.